The driving principle behind the organisation is to consolidate the Kingdom of our God by effective soul keeping and soul winning in tackling the perception that Christians have a boring lifestyle. EDEN’s philosophy therefore, is that by creating the platform for a vibrant Christian lifestyle, through a healthy spiritual life, vibrant team and consistent events, the lost will be attracted and more willing to surrender their lives to Christ and the found ones will be delighted within the kingdom and stay within the fold. Eden has a vision to grow to over 100 locations across the world within the next few years. Never again would the decision to give-your-life-to-Christ be associated with a dead social life. In fact, so vibrant will the lifestyle of Christians be that unbelievers will be naturally attracted to the light of the kingdom and be inclined to give their lives to Christ. And God said to FD, ‘’my son, this would be my double -edged sword in these times’’. EDEN is a dynamic ministry, directed by the Holy Spirit. Our Strategy does not cover ‘’the things we have not yet seen’’. As the Lord sends down the rain of harvest, we must have enough baskets to receive it. Our focus is on effective management of the resources. struck Gold, he got a call from God to start up a Christian Ministry on campuses. He thus, went to institute this quest on Obafemi Awolowo University, Ife, Osun State, Nigeria on 24 October, 1999. On September 30, 2000, the Ife centre was dedicated and it has to part of its credit, testimonies of a dying person who was revived back to life and another hemp smoker who was instantly healed of malaria on entering the tiny apartment in New Bukateria, O.A.U. 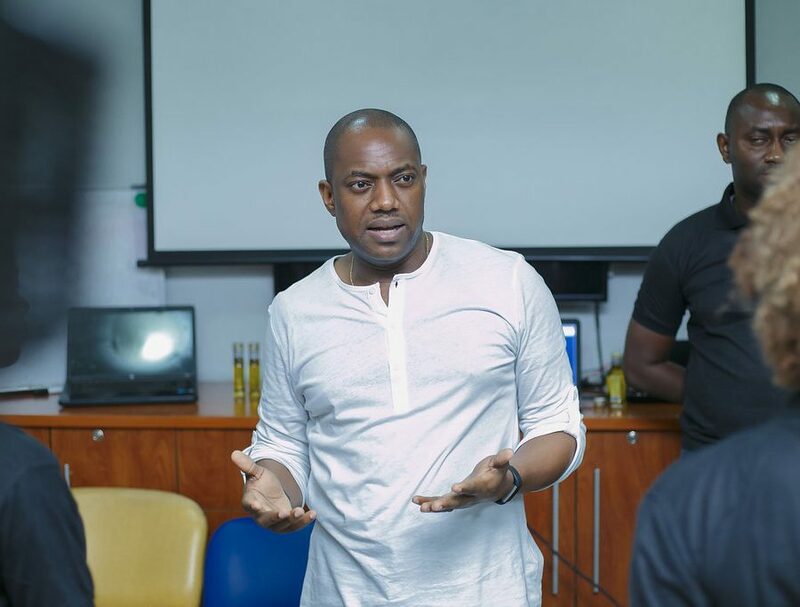 Word has it that the first set of kitchen utensils amongst other resource materials the centre first acquired was donated by the visionary’s wife, Tara Fela-Durotoye the beauty mogul of House of Tara, a foremost beauty organisation headquartered in Nigeria. In year 2003, EDEN got a divine commission to move to six other campuses; Ago Iwoye, Lagos, Ogbomosho, Ibadan, Port Harcourt and Benin in 2006. The name EDEN now resounds in these communities as the most flexible and unifying Christian organisation on campus. Many ask questions, such as ‘’is EDEN a fellowship, can I come to this fellowship? You guys are just like one family. How do I join EDEN?’’ and it has been a fruitful experience to the extent that they want to take the lifestyle beyond the campus! BUT EDEN IS NOT A FELLOWSHIP, NEITHER ARE WE A CHURCH. We are missionaries from various fellowships and churches bound by one mission. In its tenth year of operation, a management structure of EDEN, the Strategic Management Team (SMT) was put in place to oversee the affairs of the ministry and ensure that there is consistent growth and increase. At one of the SMT meetings, FD announced the extension of our commission to more institutions in the cities of Abuja, Jos, Zaria, Nsuka, Calabar and Ado Ekiti. 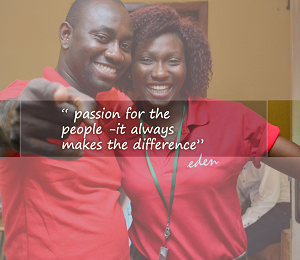 This is the bedrock upon which EDEN, a one-in-love ministry, attracting over 500 stakeholders and socially responsible individuals and bodies who volunteer for EDEN in various capacities as consultants, conference speakers and providers of technical equipment, logistics and welfare, administration, publicity, brand management, succession and prayers was birthed. 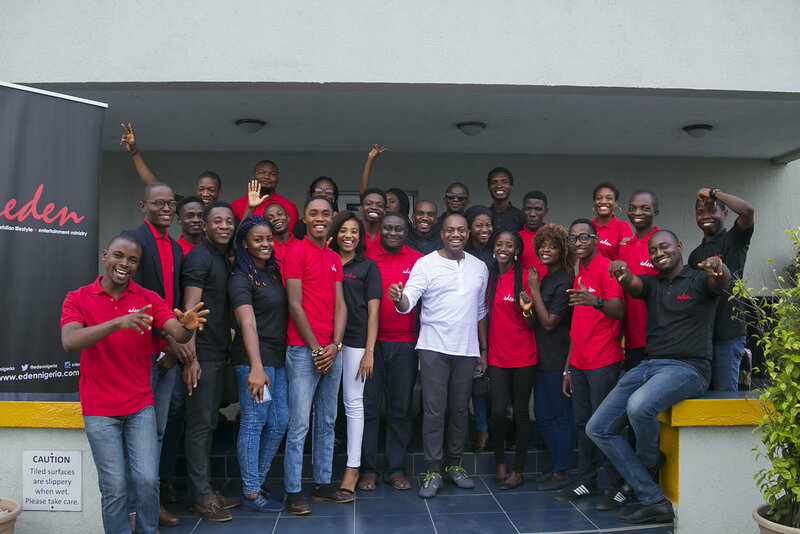 Together with these volunteers, the ministry is able to execute its programmes excellently.